The farmer became very sad and came to the Emperor’s court. He described everything to the Emperor and asked for the justice. Don’t Try to Cheat. You will end up paying for it regardless of how smart you think you are. Once, Kaka Mahajani came to Shirdi with a copy of Ekanathi Bhagwat. Shama took that book to read and taking it with him went to the Masjid. There Baba took it from him, touched it and turning some pages here and there gave it back to Shama and asked him to keep it with him. When Shama said that it belonged to Kaka and had to be returned to him. “No, no”, said Baba. “As I have given it to you, better keep it with you for safe custody; it will be of use to you.” In this way many books were entrusted to Shama. Kaka Mahajani after a some days came again with another copy of the same Bhagwat and gave it in Baba’s hand. Then Baba gave it back as Prasad and asked him to preserve it well and assured him that it would stand him in good stead. Kaka accepted it with a bow. One day, while Kakasaheb Dixit was in mediation after his morning bath in his Wada at Shirdi he saw a vision of Vitthal. 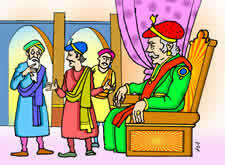 When he went to see Baba afterwards, Baba asked him – “Did vitthal Patil come? did you not see Him? He is very elusive, hold Him fast, otherwise He will give you the slip and run away”. Then at noon a certain hawker came there, with 20 or 25 pictures of Vitthal of Pandharpur for sale. Mr. Dixit was surprised to see that the form of Vithal he saw in his mediation exactly tallied with that in the picture and he was also reminded of Baba’s words. He therefore, bought one picture most willingly and kept it in his shrine for worship. Baba always loved those who studied Brahma-vidya (metaphysics) and encouraged them. To give an instance – Once Bapusaheb Jog received a post-parcel. It contained a copy of Geeta-Rahasya by Lokamanya Tilak. Taking it under his armpit he came to the Masjid and prostrated himself before Baba, when the parcel fell at Baba’s Feet. Baba enquired what it was. It was opened then and there and the book was placed in Baba’s hand. He turned some pages here and there for a few minutes and took out a rupee from His pocket placed it on the book and handed the same with the rupee to Jog and said to him – “Read this completely and you will be benefited”. When a man takes a plunge into the sea, he gets the merit of bathing in all the Tirthas and sacred rivers. Similarly when a man takes refuge at the feet of the Sad-guru, he gets the merit of bowing to the Trinity, i.e. Brahma, Vishnu and Mahesh and also Para-Brahma. The best way, therefore, to get free from the shackles of Maya is our complete and whole-hearted surrender to Baba. The Vedas cannot take you across the ocean of Maya. It is only the Sad-guru, who can do so and make you, see the Lord in all creatures. Faith and Surrender are two qualities one should inculcate, when we possess these two qualities we can face difficult situation with confidence. Facing difficult situation confidently helps us to be more positive and peaceful. One day a wood-cutter came there. 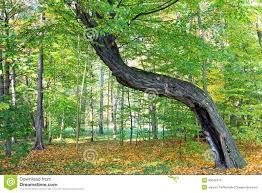 He looked around and said “I will cut all trees here, except that crooked tree. That is of no use to me”. Each one is different and therefore We must accept what we are blessed with. Thereby we will be happy with what we have. Reading this appropriate and timely story, Ambadekar was much surprised, and moved. Had he not got Baba’s hint through the story, he would have been no more. On seeing Baba’s all-prevasiveness and benevolence, his faith in Him was confirmed, and he became a staunch devotee. His father was a devotee of Akkalkotkar Maharaj and Sai Baba wanted him to walk into his father’s footsteps and continue his devotion to Him. 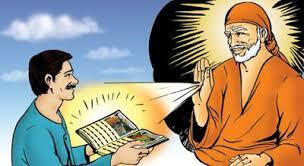 He then got Sai Baba’s blessings and his prospects began to improve. He studied astrology and gained proficiency in it and thereby improved his lot. 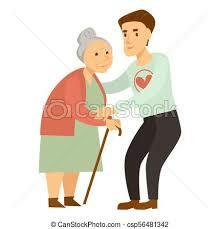 He was able to earn sufficient money and passed his after-life in ease and comfort. This story depicts the omniscience of Baba. We always see the phenomena, i.e. things as they outwardly appear, and not the Noumenon which underlies all the visible things. It is only the Sad-guru that opens the eyes of our understanding and enables us to see things in their true light and not as they appear. We must not arrive at react spontaneously, we must think twice before we act. We must move forward with faith and determination. 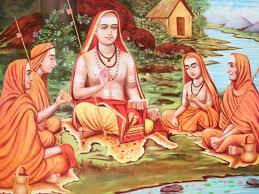 “Adi Shankara was walking through the market place with his disciples. They saw a man dragging a cow by a rope. Shankara told the man to wait and asked his disciples to surround them. “Now watch this”, said Shankara and took a pair of scissors from his bag and cut the rope. “Do you see who the Master is? The cow is not at all interested in this man. 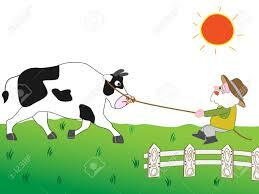 The cow in fact, is trying to escape from this man. This is the case with our MIND. 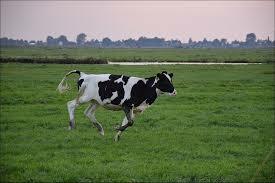 Like the cow, all the non-sense that we carry inside is not interested in us. WE ARE INTERESTED IN IT, we are keeping it together somehow or the other. We are going crazy trying to keep it all together under our control. Feeling Free and Relaxed is a Choice! We must do our duties without any attachment to the deed performed. When we use our wisdom and cultivate the habit of detachment we will observe that we will be more peaceful. Sai Baba is always full of mercy. What is wanted on our part is whole-hearted devotion to Him. When a devotee has got firm faith and devotion, his wishes are soon fulfilled. The story of Damodar Savalaram Resane, alias Damu Anna illustrating the above statement, is given below. Then Shama read the letter and Baba heard it attentively and said feelingly – “The Shet (Damu Anna) has gone mad; write to him in reply that nothing is wanting in his house. Let him be content with the half loaf (bread) he has now and let him not bother himself about lacs.” Shama sent the reply which Damu Anna was anxiously waiting for. Reading it, he found that all his hopes and prospects about lacs of rupees as profit were dashed to the ground. He thought that he had done a mistake in consulting Baba. But as Shama had hinted in the reply that there was always much difference in seeing and hearing and that, therefore, he should come to Shirdi personally and see Baba. He thought it advisable to go to Shirdi and consult Baba personally about the affair. So he went to Shirdi, saw Baba, prostrated himself before Him and sat shampooing His legs. He had no courage to ask Baba openly about the speculation, but he thought in his mind, that it would be better if some share in the business should be assigned to Baba and said in his mind, that if Baba were to help him in this transaction, he would surrender some share of profits to Him. Damu Anna was thus thinking secretly in his mind, but nothing was veiled from Baba; everything past, present and future were clear to Him as an Amalaka fruit in hand. A child wants sweets, but its mother gives bitter pills; the former spoil its health, while the latter improve it. So the mother looking to the welfare of her infant, coaxes it and gives it bitter pills. Baba, kind mother as He was, knew the present and future prospects of His devotees, and therefore reading Damu Anna’s mind, He openly spoke to him – “Bapu, I do not want to be entangled in any such wordly things (sharing profits).” Seeing Baba’s disapproval Damu Anna dropped the enterprise. (2) Grain-Dealing : Then he thought of trading in grain, rice, wheat and other groceries. 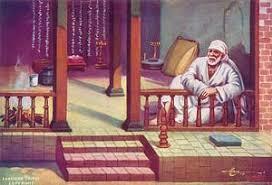 Baba read also this thought and said to him, “You will be buying at five seers and selling at seven seers a rupee”. So this business was also given up. The rice in the prices of grains was kept up for some time, and Baba’s prophecy seemed to be falsified, but in a month or two there was abundant rain everywhere and the prices suddenly fell down; and, therefore, those who stored grains suffered a severe loss. Damu Anna was saved from this fate. Needless to say that the cotton speculation which was conducted by the broker with the help of another merchant also collapsed with a severe loss to the adventurers. After seeing that Baba had saved him from two severe losses in cotton and grain speculations, Damu Anna’s faith in Baba grew strong and he remained a true devotee of Baba till His passing away and even now. Whenever, a devotee had complete and whole-hearted devotion to Sai Baba, all his calamities and dangers were warded off and his welfare attended to by Baba. When we surrender ourselves with faith, we will be able to face any situation with calmness and peace, thereby we can lead a happy and peaceful life. When we develop faith and surrender, we can face any situation with confidence. 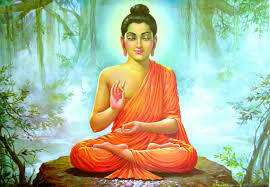 Once, a very poor man came to Buddha. – Why am I so poor? – You are poor because you don’t practice generosity. You don’t practice charity. – But how can I practice charity if I don’t have anything to give? You have five treasures that you can share with others. First, you have your face. You can share your smiles with others. It’s free. And has an amazing and lasting impact on others. Second, you have your eyes. You can look at others with eyes full of love and care. Genuinely you can impact millions. Make them feel so good. Third, you have your mouth. With this mouth you can say nice things to others. Talk good. Make them feel valued Spread joy and positivity. Then, you have a heart. With your loving heart you can wish happiness to others. Make others feel a bundle of emotions. Touch their lives. Last treasure that you possess is your body. With this body you can do many good things to others.. Help the people who need. Help is not money. A small caring gesture can light up lives. Remember True Wealth is that which no one can take away from you. It increases as you give it away. Money is not the only means by which we can do charity, giving love, a smile, talking positively may bring joy and happiness in a person’s life, in reciprocation we will also be showered with love which will make us happy and joyful.